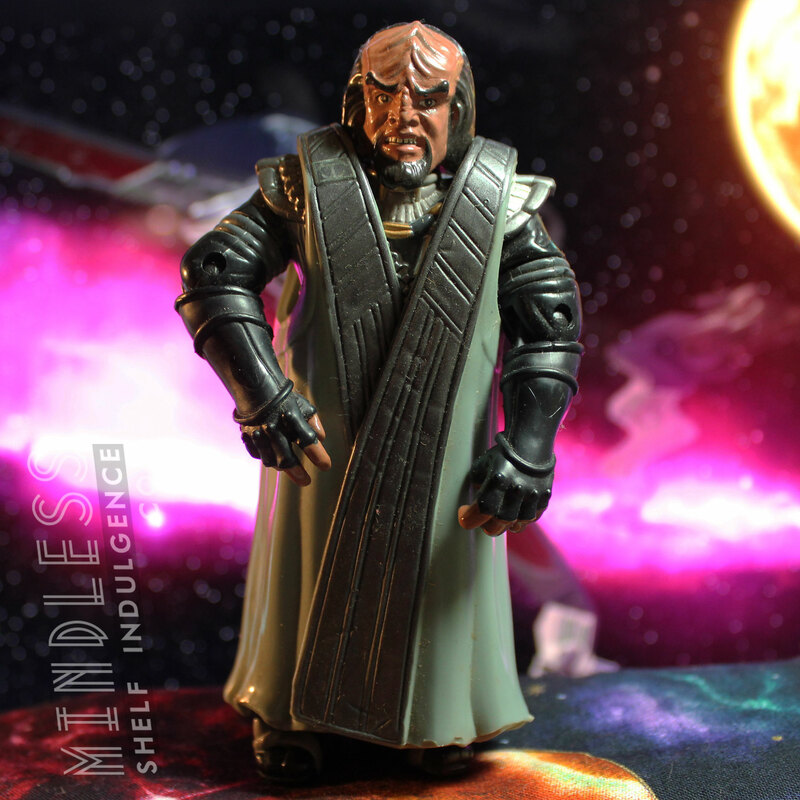 Season One Worf includes grey accessories, recolored from his Series 1 figure. 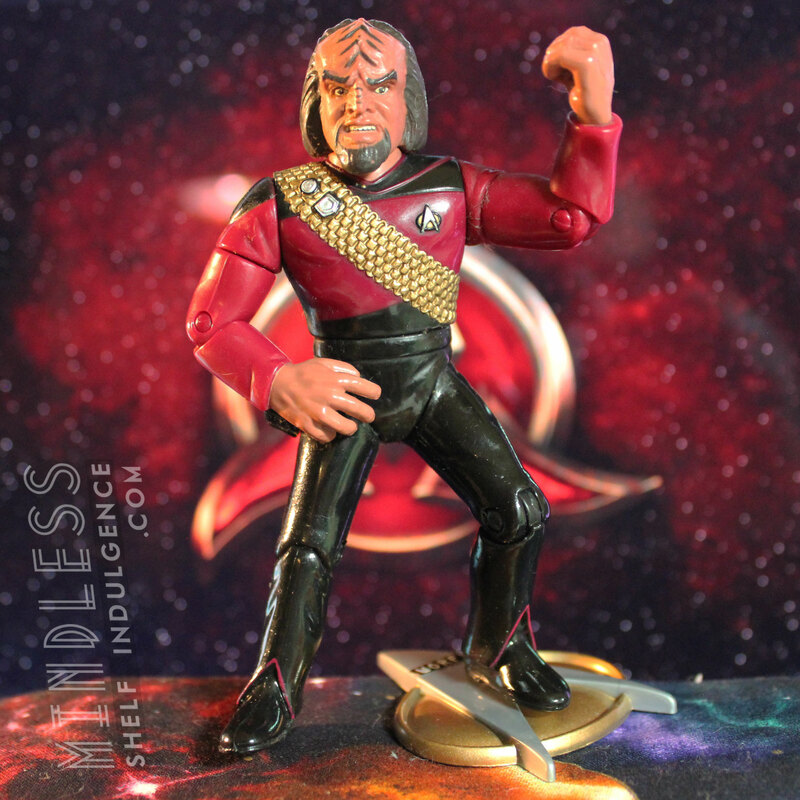 Overall this is a total repaint/recast from Series 1 Worf, but with a red shirt to indicate his position as a conn officer, rather than the head of security that he later became after the death of Tasha Yar. 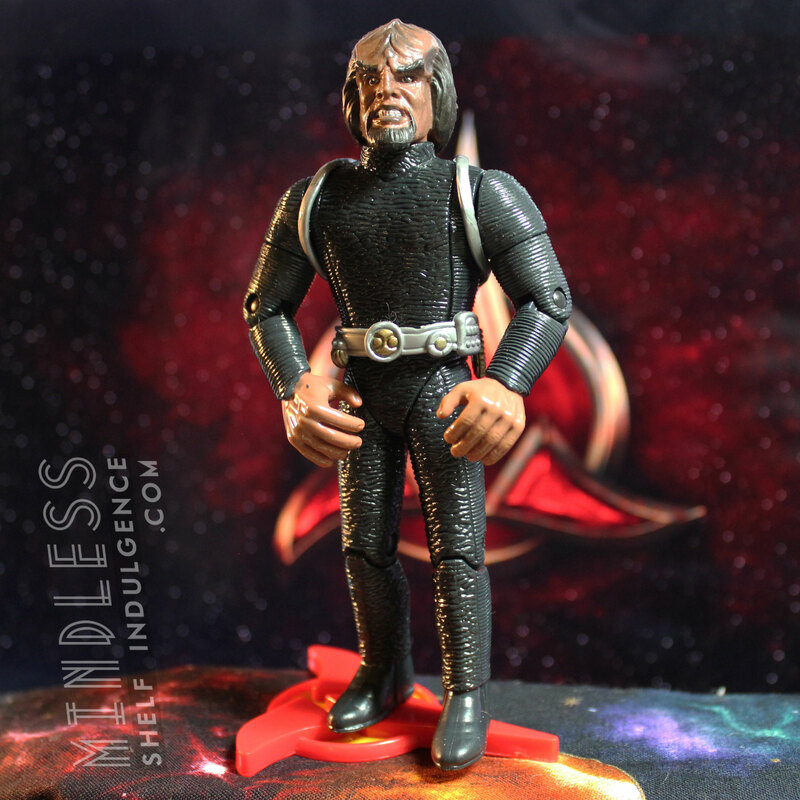 Playmates’ was scattershot with who they released in season-specific uniforms, and even less accurate when it came to Worf‘s changing head-shape. 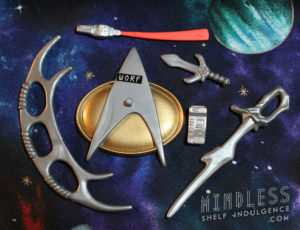 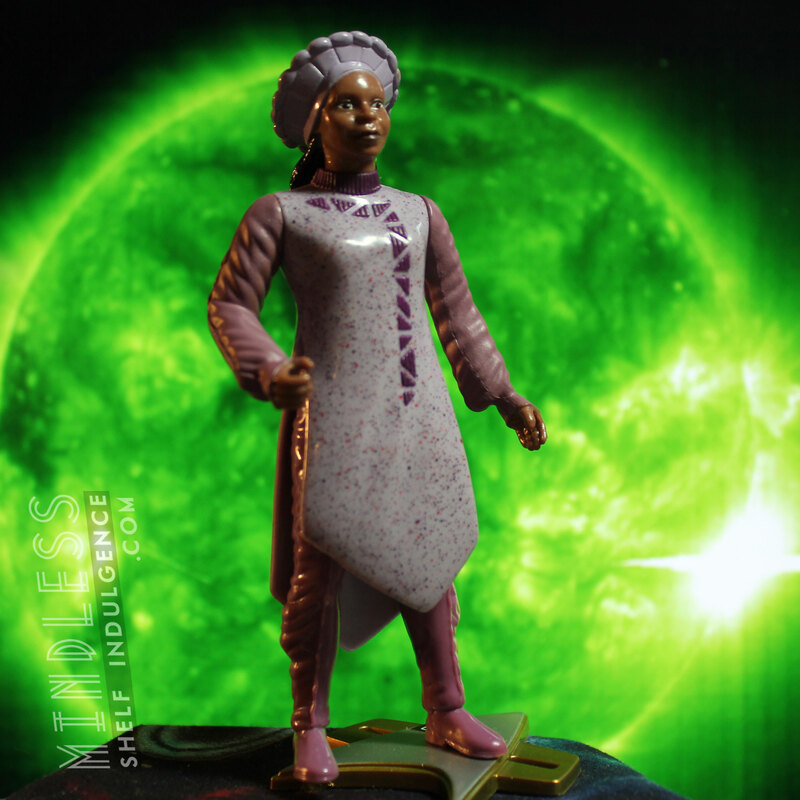 Anyone hoping for a full ‘First Appearance’ bridge crew is going to have to rely on some pretty janky customs.